I'm a bit frustrated right now because my computer won't open PhotoShop so I had to use an online program I'm less familiar with to prepare the photos for this post. I'm hoping the hubby can find a remedy for this issue. If you have any suggestions, please let me know!! 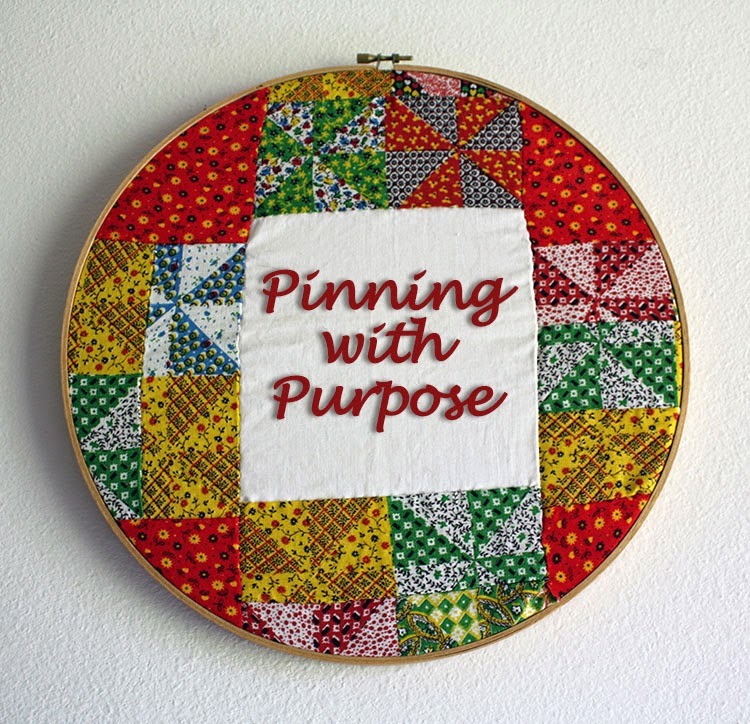 On the bright side, it's time for another edition of Pinning with Purpose. 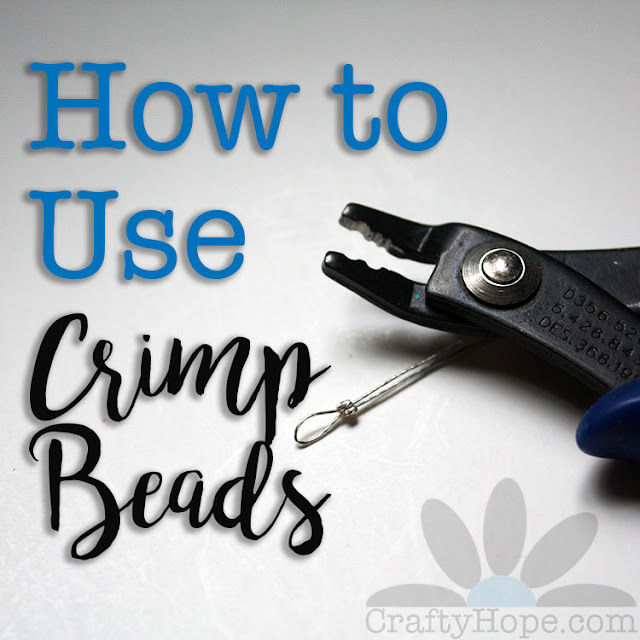 Each week, I pick out a few pins from my Pinterest boards and try to recreate them or use them for inspiration. And, I challenge you to do the same. Find a pin that gets your creative juices going; be it a recipe, style inspiration, or organizational tip and run with it. I encourage you to share your results on your blog and then link it up here. Before we get into my own pins and results, let me thank the following ladies for linking up this past week. Jenna at The Painted Apron with her Hawaiian Chicken Kababs with Smoked Sausage, Peaches, and Apricots. Lorraine at We are Clamco for sharing her Scrabble Tile Coasters. Lynda of Fresh Baked Designs shared her Cupcake Surprises as well as her Appliqued Tea Towels and Napa Valley Chicken Salad. 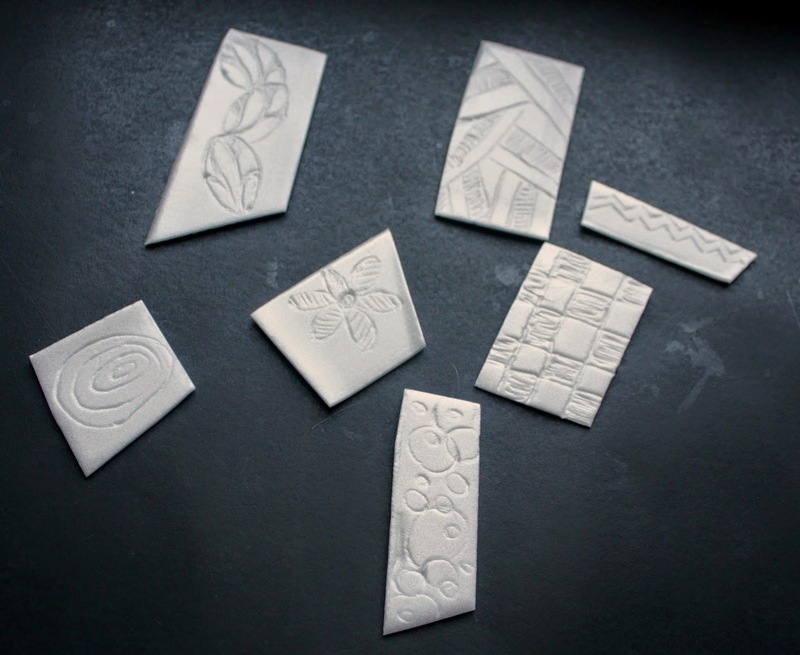 Stamps from styrofoam from Alisa Burke off my Good Ideas Board. Here's how each of these turned out for me. The Quiche with Hashbrown Crust came together pretty easily. I was able to get all the other ingredients together (including cooking the bacon) while the oven pre-heated and the hashbrown crust cooked. It was really good too! I might cook the crust just a little bit longer next time as it wasn't as crispy as I would have liked, but I'm pretty sure that's my oven's fault and not the recipe. It was a perfect breakfast for the kickoff to the first weekend of college football. 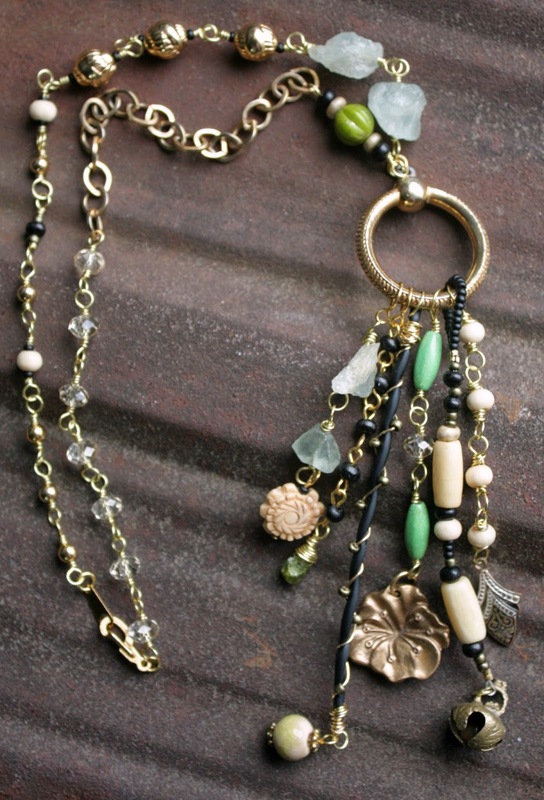 I've loved the dangly assemblage-style necklaces for a while and have quite a few pinned. It was about time I tackled making a similar one myself. First, I studied the inspirations I had from both Something Sublime and MaggieZee's blog and Etsy Shop. 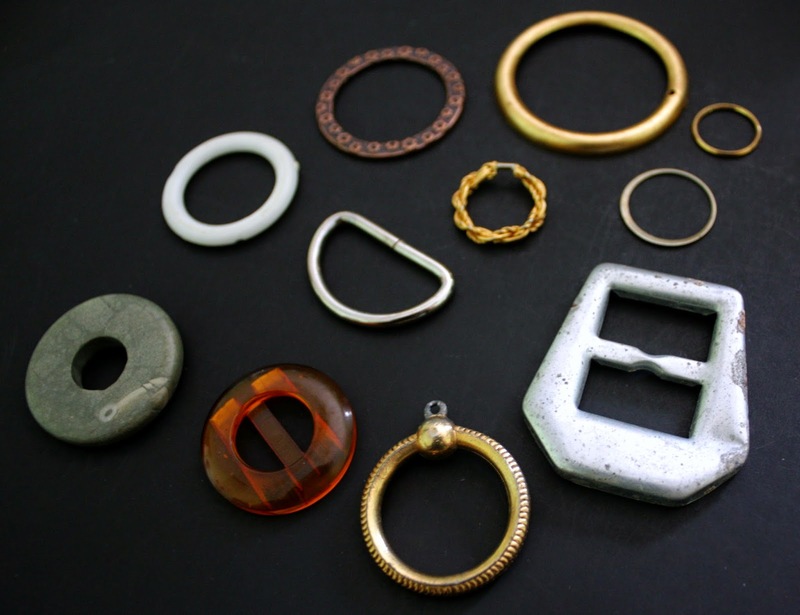 After than, I started by pillaging my stash for a ring-like base. 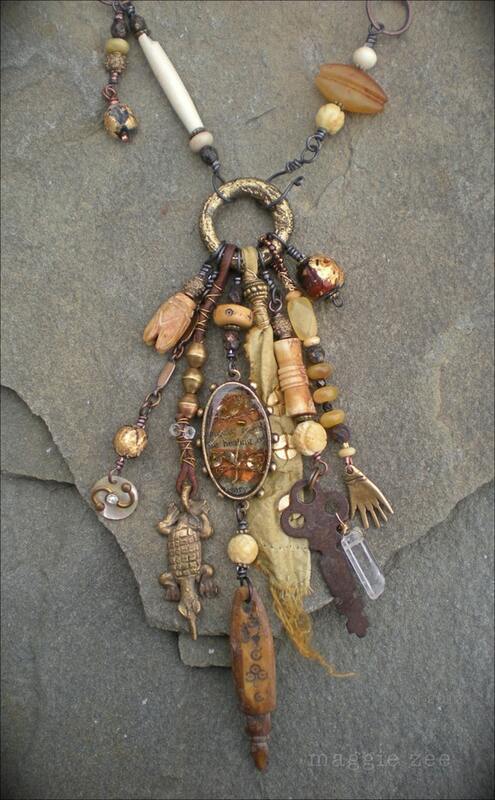 Once I chose a ring base, I made the pendant from a variety of charms, beads, and other materials. Last came the chain of the necklace using beads, wire, and a bit of chain. While inspired by MaggieZee and Deryn, I took my own spin on the style and came up with something I'm really happy with. It's both romantic and funky, just like me. For my last trick, I made stamps on Styrofoam. I drew (poorly) shapes onto some bits of Styrofoam from a take-out container. I simply painted on some acrylic paints and tested them on scrap paper. You want to use a nice, even layer of paint and apply even pressure over the whole styrofoam piece if you want a crisp image. This method is perfect for transferring an image in a quick and easy manner. I don't even care if it's a bit sloppy. Next week is a little crazy, so I'm only going to aim for two pins. I'd love for you to link up what you've made from your Pinterest board inspirations also! I'm loving this! I'm not going to be able to participate yet... but come Fall I will. Great idea! Love your necklace - just love the colors and symbols! I love the charm necklaces and keep saying that I need to make one. Aw well, maybe when I get the designs done for the hops I am in. I am hoping to work on some today but that all depends on how quick I get done rearranging my studio. 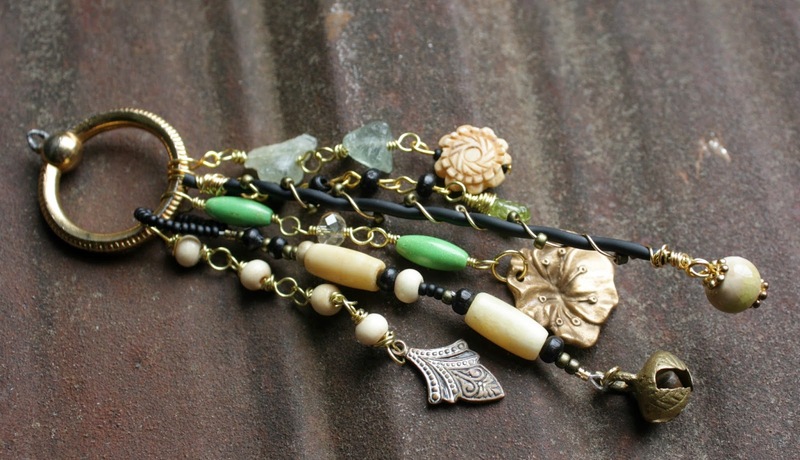 I have pinned some dangly necklaces, too and I love how yours turned out! 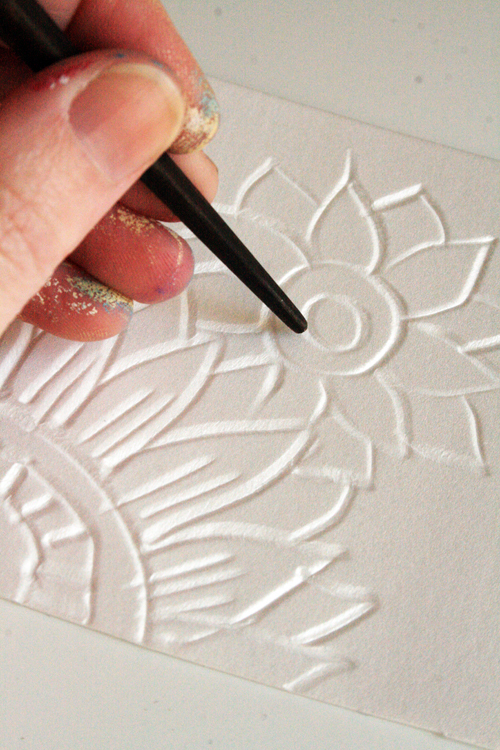 And I have to remember the Styrofoam stamps, you can even write something on them! That quiche looks fabulous! 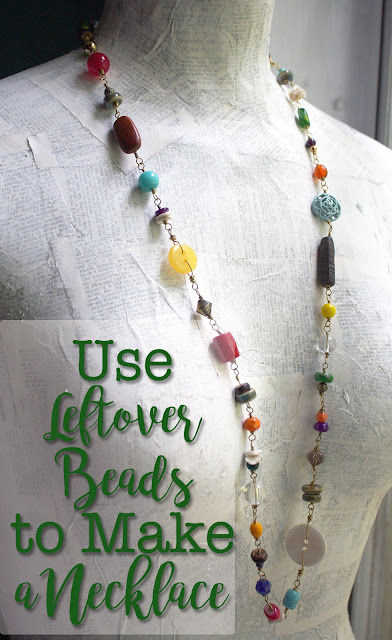 And I don't know how on earth you decide from all your beads which ones you'll use for a piece of jewelry. I'd be paralyzed from too many choices, but you always end up making such beautiful things. My entry wasn't from a particular project pin, but I was pinning photos of things made of coastal colors like sea glass and turquoise. We spray painted a couple of wicker tables over the weekend. Next weekend will be a much bigger project. I'm a-scared! thanks for the shout out Hope, I was busy playing this weekend and didn't do a lot of linking but I promise I'll be back next week! 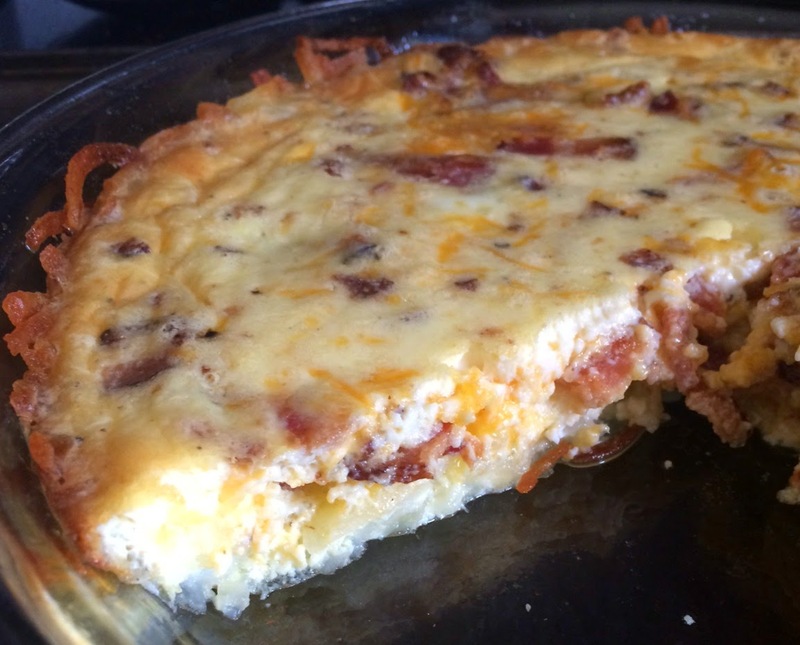 I have tried the hash brown crust and it is tricky, takes much longer than you think~ yours looks divine! Your necklace is really lovely and I'm so glad to have been part of your inspiration! Oh, I'm so glad you like it! Your pieces always have me swooning. You have such beautiful vision and phenomenal talent!! Thank you so much for dropping by here!